We accept PDF files only. Please use the job options available here. ✔ Single page PDF format only (do not supply in spreads). 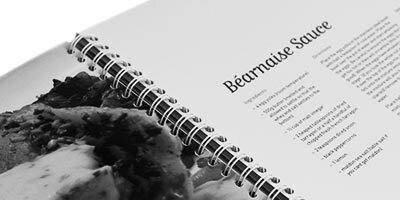 eg: A4 saddle stitched book will have pdf pages 210 x 297 (not 420 x 297 spreads). ✔ PDF’s must have embedded fonts (this can be checked in Acrobat Professional). ✔ If the PDF size is bigger than the finished size (eg if bleed is required) then trim boxes need to be applied. Trim boxes can be applied in Acrobat Professional. If no trim box is applied then page positioning will default to the crop box. ✔ All pages should be presented in the file whether printed on or not, ie: if there is a blank page at the end of a chapter or at the end of the book it must be present as a page in the document. ✔ All pages in the document must be same size throughout. ✔ Pages in the document must be the same orientation (either all portrait or all landscape). ✔ If bleed is required, a minimum of 3mm is needed. If your software and document are set with these specifications you will achieve a better colour conversion between RGB and CMYK. Should be 100k or 100 Grey. Avoid using RGB black as this will convert to black using all CMYK channels and may print looking blurry. Colour management should be treated just as you would an offset press. The Truepress and C1000 machines are CMYK printers and care should be taken when creating pdf’s from RGB producing software, CMYK gamuts are less saturated than RGB gamuts. Spot colours may not convert to your satisfaction on the Truepress or C1000, please convert spot colours in your native software. ✔ Page count must be divisible by 2. If not, blank pages must be added. ✔ Spine must be allowed for on cover. The cover spine width can be calculated here. ✔ Cover file is supplied as a spreads including spine. eg An A5 book with 12mm spine will have a landscape page with a trim box size of 308 mm x 210 mm (148 +12+148). ✔ If cover is single sided supply a one page file, if it is two sided supply a two page file. 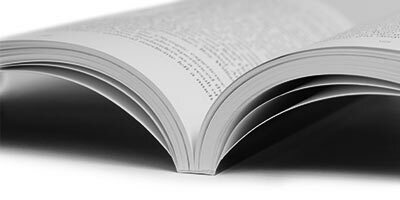 ✔ Inside covers must have an image free spine glue area of spine width plus 6mm. ✔ If required, 3mm bleed must be on all 4 edges of the page. ✔ Do not allow important information to print within 9mm of wiro edge. Any questions? Need more information? Feel free to contact us. Take a look at our text templates. Download and extract the pdf file.